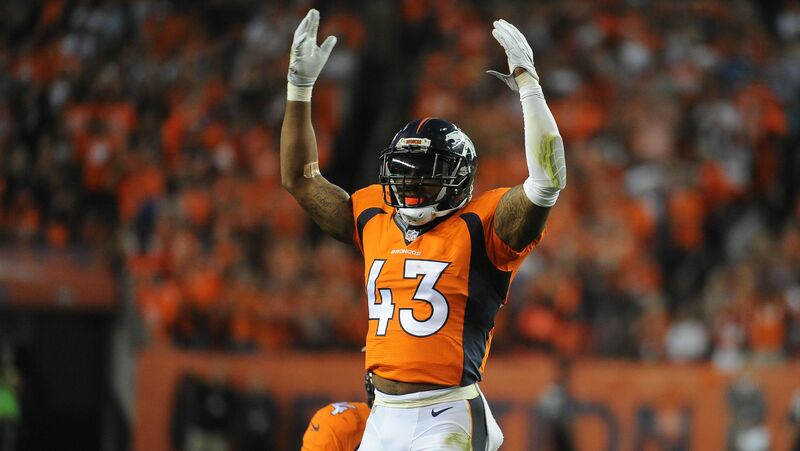 T.J. Ward was cut by the Broncos on Saturday, and there will be plenty of teams trying to pick him up. Here are five teams that could sign him. T.J. Ward was the victim of the dreaded cuts for the 53-man roster deadline on Saturday, as he was let go by the Denver Broncos and relieved of his duties in the “No Fly Zone”. While the move upset his teammates and plenty of Broncos fans, it’ll surely be welcomed news for a lot of teams looking for help in their secondary. Plenty of teams will be trying their best to pick Ward up as soon as possible, especially with the regular season just a week away, and he’ll be one of the big names to follow once the cuts for the 53-man rosters are complete and loads of talented free agents out there are evaluated. While the move may help the Broncos to mature some younger talent and prepare for what could’ve been life without Ward next season anyway, it’ll be interesting to see where Ward lands and if he has an impact on his former team in Denver, even while not playing for the team. With that in mind, here are five teams that could sign Ward at some point soon. The New England Patriots have a solid secondary at the moment, with Devin McCourty and Patrick Chung already in the lineup at both safety positions and succeeding on either end. However, signing Ward would be more of a precautionary move than anything. Ward is notorious for how many big (and sometimes illegal) hits he’s delivered to Patriots players over the years, and he’s injured multiple big names in the Patriots lineup over the years. The best way to combat that? Sign him yourself. Signing Ward would help to ensure he won’t be hurting anyone on the roster, and he’d also provide a nice hybrid as a safety and linebacker for Bill Belichick to utilize in the Patriots defense, giving them depth at both positions. We’ve seen Belichick turn already good players into superstars before, and signing with the Patriots when many think Ward’s on the decline would likely be a pretty solid boost for the safety’s career. Add in the fact that you’d likely end up in the Super Bowl and get to stick it to your former team in the process, and that seems like an enticing option.